We’d both finished work at 8pm that Wednesday night and were feeling overworked, underpaid and dog-tired. A parma would cheer us up. Ultimate comfort food. We’ve been to Mrs Parma’s quite a few times before for a reliable excellent parma in the city. It’s a bit more expensive than the standard parma, running to around $25 for the chicken and $18 for the eggplant-based parma, but we believe worth it for the consistent quality. There’s nothing worse than a bad parma. To start us off, we got some interesting beers from the extensive collection of different beers, both on tap and in the bottle. 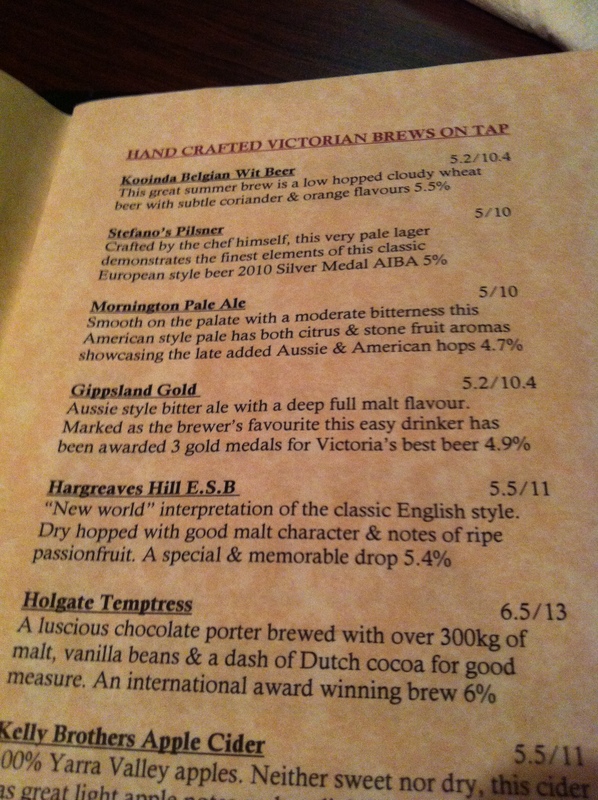 I enjoyed mine, the Hargreaves Hill ESB, finding it fruity and interesting. Mr B had the Gippsland Gold. Oh, and we got pints (it had been a long day at work). ESB stands for "extra-special beer", apparently. The parma menu at Mrs Parma’s has a number of variations on the traditional parma. Every time I come I’m keen to order the one entitled “Parmageddon”, which has chilli sauce that apparently takes days to make, but I’m scared that I’ll pay $25 for a dish I can’t eat and wuss out. 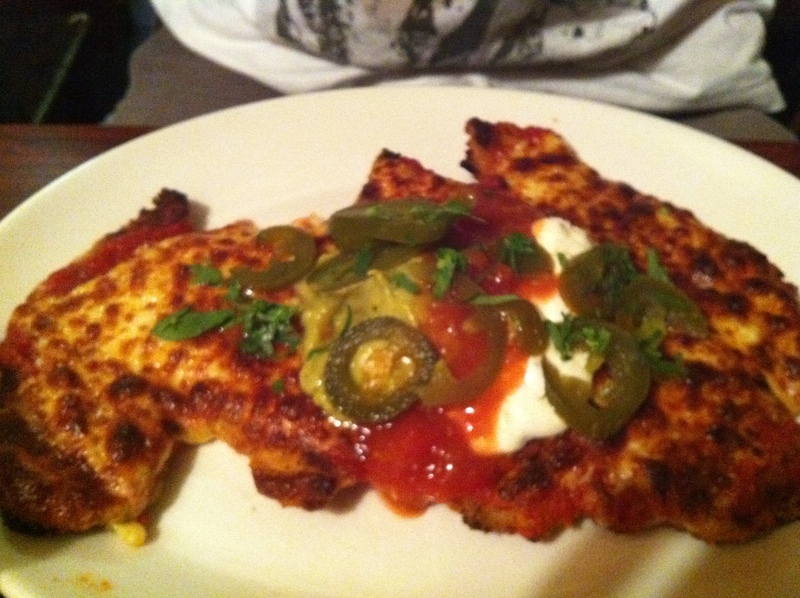 I find their original parmas the best: you can’t mess with a classic. Behemoth always gets the Mexican variant, which comes with salsa, guacamole, sour cream and jalapeno peppers. 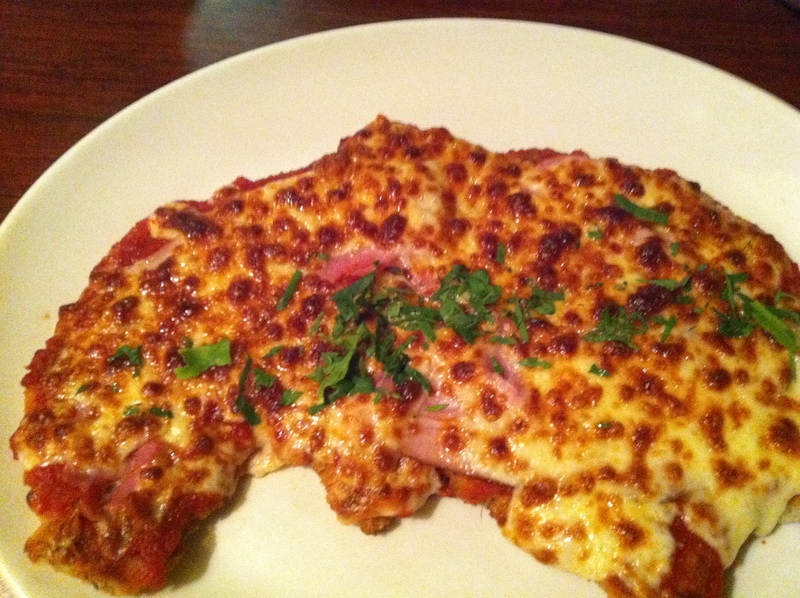 Shaped a *little* bit like Australia, the original parma. Mr B was edgy to get stuck into it so this pic was taken under time pressure! As you can see from the shots above, the parma covers the entire plate. But where are the chips and sides? 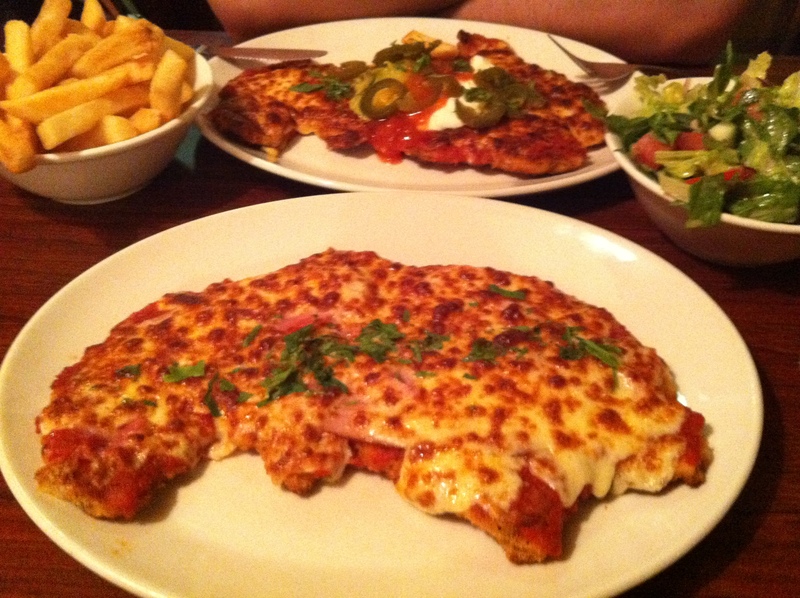 Now, here’s where I agree with one of the best blogs ever reviewing parmas, Parma Daze’s review of Mrs Parma’s. God that blog makes me giggle. The sides come separately at Mrs Parma’s, and they don’t give you your own individual chips and salad. You have to share. Now, that’s fine if it’s just Mr B and I, because frankly we would not be able to finish all this food (below). But in larger groups, there simply aren’t enough chips and salad to go around! And as everyone knows, chips and salad is the accompaniment to parma. Taste-wise, the parmas here are great. The schnitzel is crumbed and covered with sauce and cheese to perfection; the ham they use is fantastic, none of that processed crap here; and the chips are crunchy, not trapped under the parma and getting soggy. The salad dressing is fine, nothing special but nothing offensive either. This is definitely the best parma I’ve found in the city. Others agree with Parma Daze and I; Greedy Diva enjoyed it recently on Australia Day (how patriotic! ); Nouveau Potato loved the vegetarian eggplant parma; Eat, Drink, Stagger liked the beers and the parmas although they were a mite expensive. The only slightly more negative review I’ve found was recently, from Sweet and Sour Fork, and the review still rates the parma highly, however found the service a bit lacking. Tags: beer, chicken parma, melbourne cbd, microbrewery, pub meal. Bookmark the permalink. I love Mrs Parma’s! It’s a favourite with both the boys from work, and university friends as well. I’m pretty confident it’s the best parma in the city. But hey, I’d be happy to be proved wrong. Hi! I run Parma Daze and I just found this blog through my google analytics page referrals 🙂 I’m glad you enjoy the blog! we re-visited Mrs. Parmas last week, still separate chips and salad! grrr.